Building on the previous edition with contributions from internationally renowned experts this book provides a fully comprehensive resource for managing the post emergency/treatment stage of acute poisoning. Chapters incorporate evidence-based paradigms with up-to-date citations from the original medical literature. Topic areas covered include: diagnosis and management of the critically poisoned patient, including pediatric patients and poisoning in pregnancy; toxic syndromes including hepatoxic and pulmonary syndromes as well as poisonings from medications, drugs of abuse, chemical and biological agents. 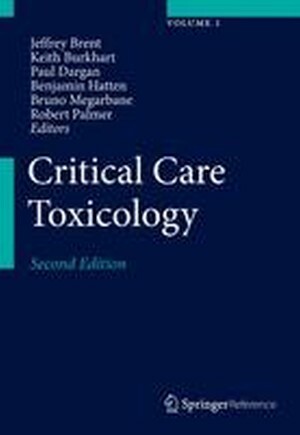 This book is an essential resource for Clinical Toxicologists, Intensivists and Emergency Medicine specialists in training and in practice. Jeffrey Brent, M.D., Ph.D (biochemistry), is a Distinguished Clinical Professor of Medicine, University of Colorado School of Medicine and Colorado School of Public Health. He completed his medical toxicology Fellowship training at the Rocky Mountain Poison and Drug Center and has a long career of active research in medical toxicology. His Curriculum vitae lists nearly 300 publications of various kinds, including original research papers, abstracts, chapters, and reviews.Currently, Dr. Brent is Principal Investigator and Director of the Toxicology Investigators Consortium (ToxIC), an NIH supported national multi-center study group in medical toxicology.Dr. Brent is a former President of the American Academy of Clinical Toxicology (AACT), a former member of the Board of Directors of the American College of Medical Toxicology (ACMT), a recipient of the Louis Roche award from the European Association of Poisons Centres and Clinical Toxicologists, the Career Achievement Award from the AACT, and the Ellenhorn Award from the ACMT, and the Clinical Translational Sciences Career Achievement Award from the Society of Toxicology. 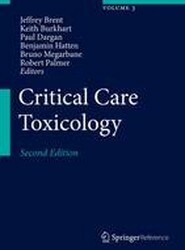 Dr Paul Dargan is a Consultant Physician and Clinical Toxicologist and Clinical Director at Guy's and St Thomas' NHS Foundation Trust, London, UK, and a Reader in Toxicology at King's College London. He has an active research and teaching programme with a focus on recreational drug toxicity, self-poisoning and heavy metal toxicity. He has published over 210 peer-reviewed papers and numerous book chapters. He sits on the UK Advisory Council on the Misuse of Drugs (ACMD), the Scientific Committee of the European Monitoring Centre for Drugs and Drugs Addiction EMCDDA) and is an expert adviser to a number of other bodies including the US Food and Drug Administration (FDA) and the World Health Organisation (WHO). in Denver and is academic faculty in the Medical Toxicology Fellowship and Emergency Medicine Residency at the University of Colorado. In addition, he serves as an instructor in the Colorado School of Public Health. He underwent Medical Toxicology fellowship training and received a Master of Public Health at Oregon Health and Science University in Portland, Oregon. Prior to this, he completed Emergency Medicine residency training at Denver Health Medical Center in Denver, Colorado. He is an alumni of the University of Texas-Southwestern School of Medicine in Dallas, Texas. He also holds a Bachelor of Arts from Hendrix College in Conway, Arkansas. including cardiotoxicant poisonings. He also actively participates to experimental researches at INSERM U1144, investigating the mechanisms of toxicity of psychotropic drugs like opioids and the new psychoactive substances. He is the President-elect of the European Association of Poison Centres and Clinical Toxicologists (EAPCCT). He is also an active member of the French Society of Intensive Care Medicine (SRLF), the European Society of Intensive Care Medicine (ESICM) and the American College of Medical Toxicology (ACMT). He is associate editor in Clinical Toxicology. Dr. Palmer is a partner with the private practice Toxicology Associates in Denver, CO. He completed a BS degree in chemistry at the University of Idaho, and MS and PhD degrees in organic-medicinal chemistry from the University of Washington. He completed a NIDA postdoctoral fellowship at the University of Washington specializing in the pharmacology and medicinal chemistry of opioids, and a clinical toxicology fellowship at the Rocky Mountain Poison and Drug Center (RMPDC) in Denver, CO. Dr. Palmer was previously faculty at the University of New Mexico Health Sciences Center, where he worked extensively with the Office of the Medical Investigator. He is board-certified in clinical toxicology and currently president-elect of the American Academy of Clinical Toxicology. He currently holds faculty appointments at the University of Wyoming, and University of Colorado School of Medicine, as well as serving as a faculty attending toxicologist for the medical toxicology fellowship program at the RMPDC.